Welcome to Manor Storage your local, secure, domestic and business self storage and document archiving solution serving Norfolk and Suffolk. Self storage with Manor Storage couldn't be easier. With smart card controlled site entry you can access your individual room at a time that is convenient for you seven days a week. All our storage space is easily accessible on the ground floor and we have a range of trolleys and handling equipment for you to use free of charge. Our storage fees include insurance of your goods on a new for old, full reinstatement cover. 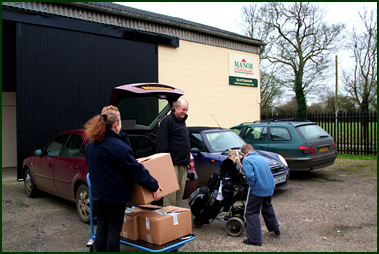 With convenient, modern storage facilities Manor Storage is set in pleasant Suffolk Countryside close to the towns of Diss and Eye and within easy reach of the A140 Norwich to Ipswich trunk road. We offer facilities that are clean, attractive and pleasant to visit. Our large yard, ample parking and easy access make the business of your storage quick and simple to achieve.